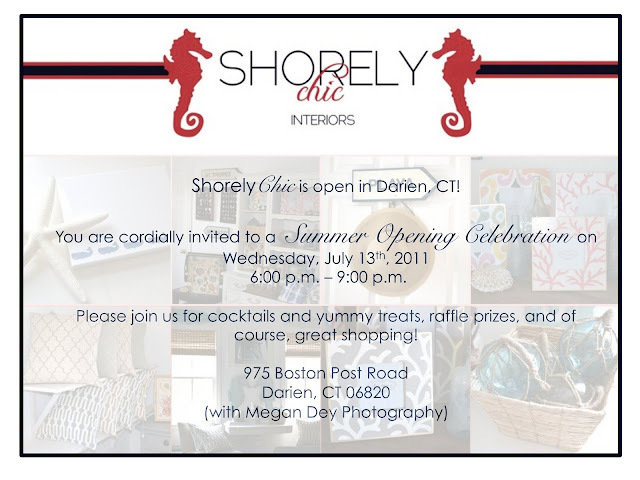 Shorely Chic: Shorely Chic Summer Celebration! 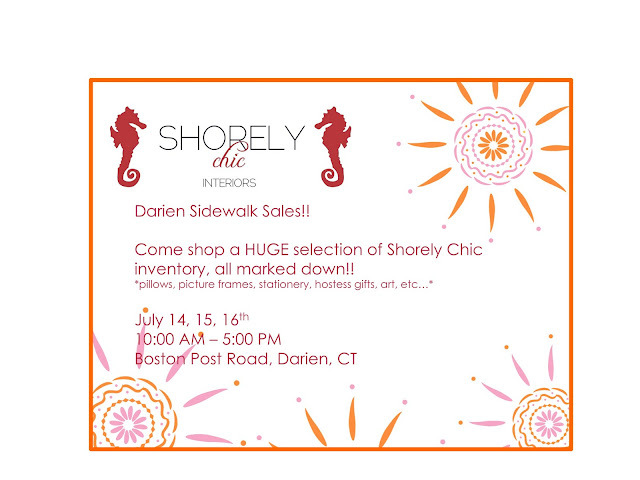 And starting tomorrow at 10 AM through Saturday at 3 PM I will be under my little tent at the Darien Sidewalk Sales! Celebrate your summer opening! 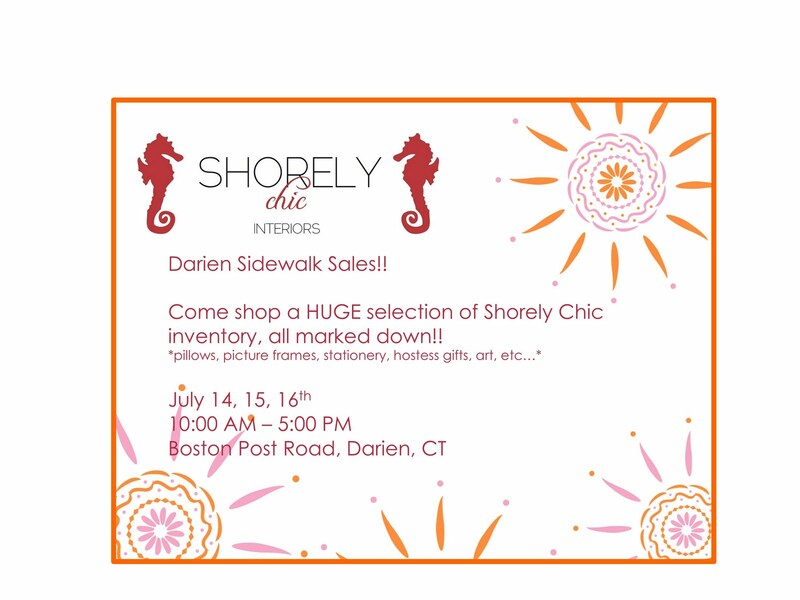 It's shorely going to be a success! wish I wasn't so far away! I went to the antique stalls in Stamford two weekends ago, but I'm back in N.C., darn! I wanted to give you a heads up: We are excited to be included in HGTV's Freebie Friday giveaway tomorrow. We are giving away a cool Asian lacquer coffee or low side table in one of 5 color options, so come on by for a chance to win!! Its worth upwards of $500.00 so its our biggest yet.